Imtiaz Ali's next directorial venture starring Shah Rukh Khan and Anushka Sharma refuses to stop being in the news. The latest development in the ever changing story regarding the name of the movie has just come in. Jab Harry Met Sejal poster. Shah Rukh Khan took to his Instagram handle and shared a picture with a lanky Ranbir Kapoor as he handed over three Rs 2,000 notes to him for his role in the process of naming Ali's movie. 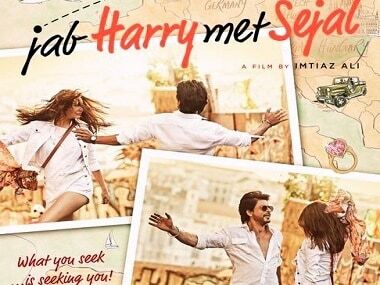 The movie has gone through several name changes before the title Jab Harry Met Sejal was settled upon, apparently on Kapoor's suggestion. Kapoor took credit for the title during a press event held for his upcoming movie Jagga Jasoos with Katrina Kaif. "I suggested the title of the film and that time people laughed at me saying, 'Kya bakwaas title hai. When the poster of the film released today with my suggested title, I was very happy," said Kapoor, states a report by Mumbai Mirror. 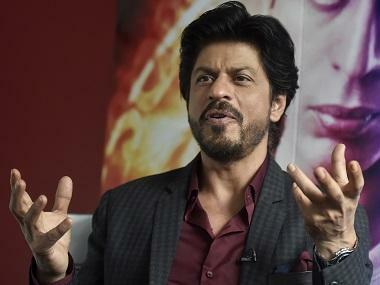 Initially, as the name of the movie was unveiled, Khan had taken to Twitter and denied Kapoor's claim for taking the credit for Jab Harry Met Sejal. 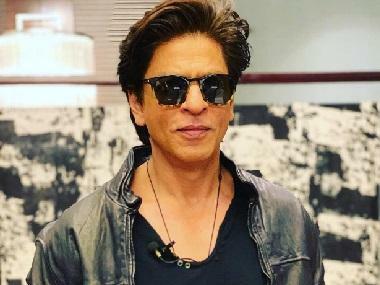 Now it seems that Ranbir Kapoor has finally coerced SRK into publicly admitting to the fact that Kapoor was the one who gave the movie its much talked about title, and Khan does not look pleased, as can be seen in his Instagram photograph. The movie was initially titled The Ring, then Rehnuma... then Raula. Finally, Jab Harry Met Sejal was decided upon — an obvious take on the Hollywood's When Harry Met Sally starring Meg Ryan and Billy Crystal, with a hint of Ali's first blockbuster Jab We Met. Interestingly, Karan Johar too has found a way into this confusing narrative, as he tweeted "Yes am waiting !! Ranbir owes me 1,250 rupees!" with regard to him receiving his share of the title reward. Jab Harry Met Sejal sees Khan in the role of a tourist guide from Punjab while Sharma plays a Gujarati girl. What follows is an entertaining affair. The romantic drama was widely shot in Prague, Amsterdam, Lisbon and Budapest and it marks the third time that Shah Rukh Khan and Anushka Sharma have been paired together after Rab Ne Bana Di Jodi and Jab Tak Hai Jaan. The movie is slated for release on 4 August.